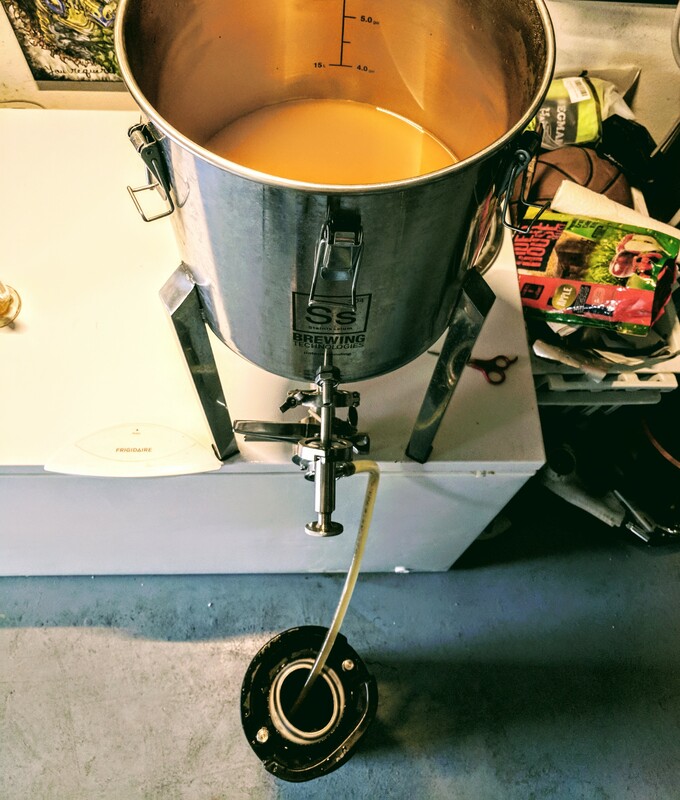 The cider wrapped up its fermentation, so I transferred the cider from the stainless steel conical fermenter over to a 5 gallon keg. I also moved the oak cubes to the keg to let them age and condition with the cider. It can take months for the oak to impart any significant flavors upon the cider, so as the cider ages the flavor should become more complex. As of right now the cider is extremely hazy as you can see from the photos. Hopefully after a week or so in the kegerator at low temperature, the yeast will fall out and the cider will become clear! After transferring to the keg, I connected the CO2 line, purged any oxygen that I could from the keg and connected the out line to the new tap that I created. If all goes well I will have some delicious cider to enjoy here in about 1-2 weeks. I am already contemplating ways to make it better. For my next batch, I want to eliminate the dextrose in exchange for a purely apple base, try to round out the body, add in some Oregon sour cherries and do a little research on the best way to back sweeten a cider. If all goes well, I can eliminate the need for a kit all together! I will keep you posted on my progress on making hard apple cider at home! 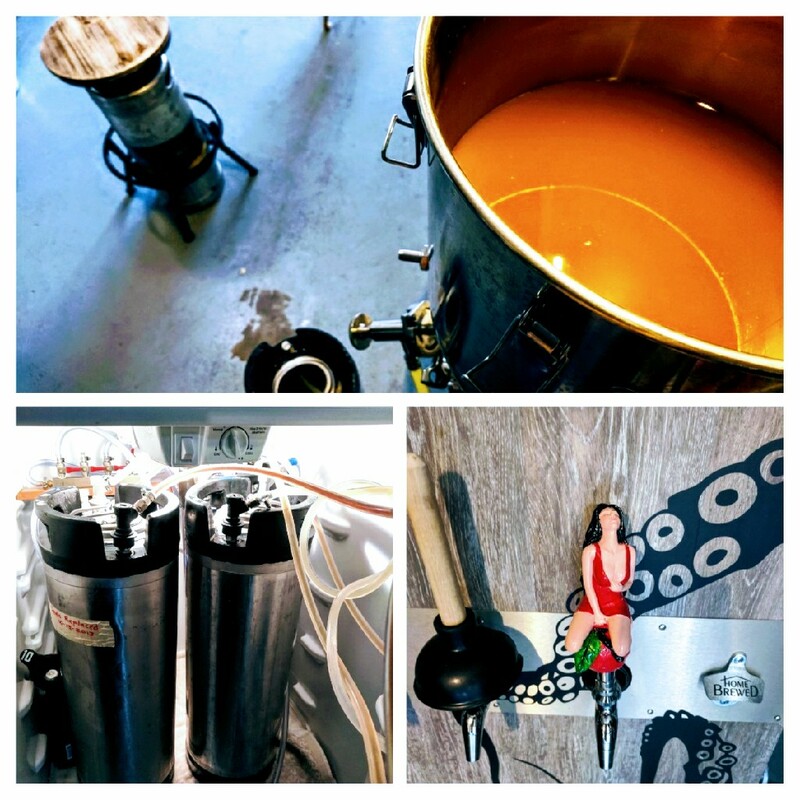 Coupon Code Description: More Beer has a promo code that will get you a Mangrove Jack’s Cider Making Kit for just $37. So if you have been wanting to try you hand at cider making, this is your chance. You can join the home cider making craze with this super easy to make home cider making kit. It has a sweet apple base combined with a refreshing burst of summer berries including delicious raspberries and black currants.